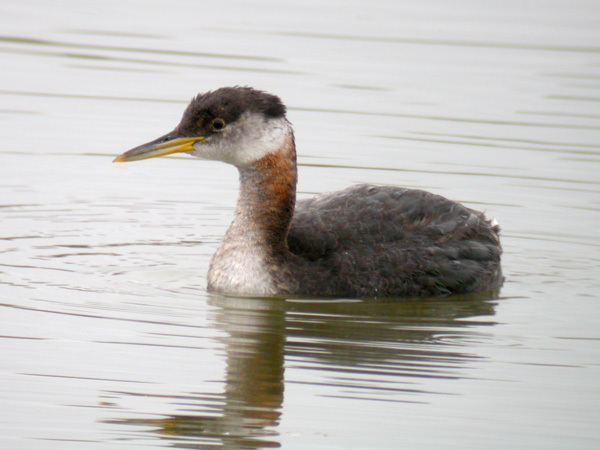 This morning, Thursday, I observed a single Red-necked Grebe on Clegg's Pond (as it is known by the locals)in west Orem. To reach the pond take the University Parkway exit off I-15 and turn west. At Geneva Road turn north (right) and proceed to next stop light. Turn west (left) onto Sleepy Ridge Drive [1000 South] (which goes to the Sleepy Ridge Golf Course in west Orem) and travel for less than one mile to Golden Pond Way. Turn left. This road goes past a black metal gate. After two houses on the left turn south (left) onto a dirt road which takes you right down to the pond, which is between the road and the golf course. 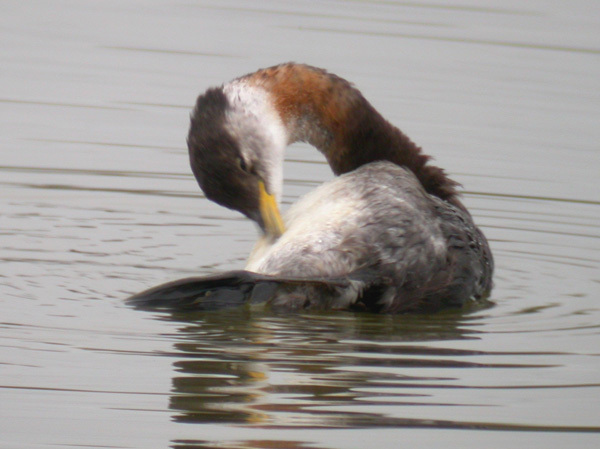 I had three different grebes in the same field of vision: Clark's, Pied-billed, and the Red-necked for easy comparison. 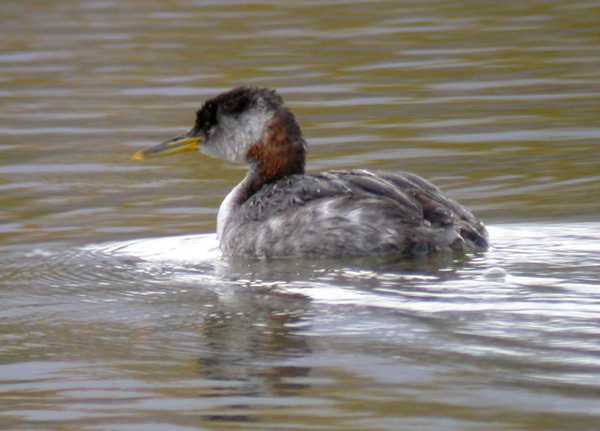 There were golfers on the south side of the pond, but the grebes didn't seem to be concerned by their activities. I was able to get within about 50-60 yards of the bird and view it with my spotting scope. It isn't as brightly colored as the pictures show for the adult--probably moulting into winter plumage, but there is still enough red on the neck, especially on the back of the neck, to I.D. it as this species.